Death toll has risen to 52 in Nigeria’s northwestern state of Katsina where floods caused by heavy rain since last weekend wreaked havoc, a local official confirmed on Wednesday. At least 24 people were wounded and hospitalized due to the incident that affected five villages in Jibia area of Katsina, said Aminu Waziri, head of the State Emergency Management Agency. According to him, 24 of the victims were washed away to two villages in neighboring Niger. More than 500 houses were destroyed by the flood, causing the displacement of at least 5,000 people, he said. State governor Aminu Masari said following the heavy rainfall on Saturday, water from the main river in the area moved in a reverse direction and came back to Jibia town, causing the flooding. Most of the victims have been relocated to a makeshift camp at a local school in the area, with the national relief agency providing support to victims. Nigerian vice president Yemi Osinbajo visited the flood-hit area on Tuesday, saying the government would compensate the victims or rebuild their homes if necessary. 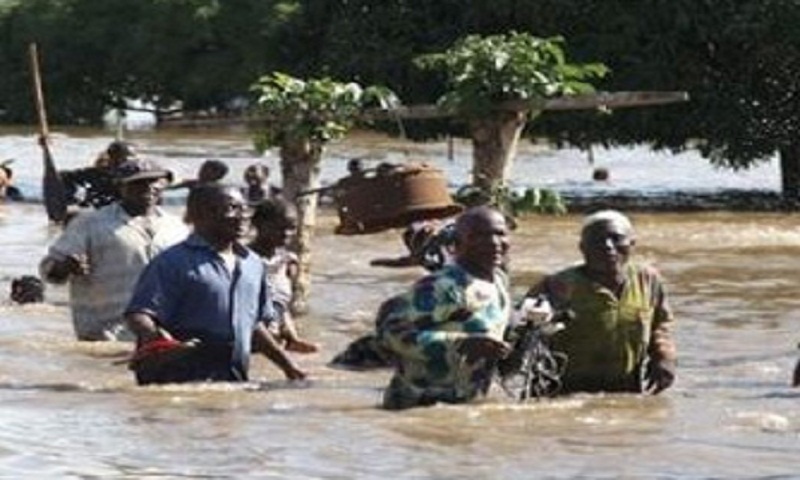 More than 40 people were reportedly killed and 200 houses destroyed by a recent flood in the northern state.